SlimCleaner is a freeware and lightweight utility for keeping your PC clean and running at peak performance. It's has a highly-detailed community-based clean tool and a powerful set of other useful PC optimization tools. 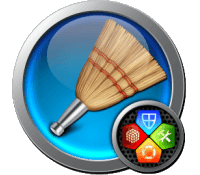 SlimCleaner combines a powerful PC cleaning engine with a community of users who provide real-time feedback about the apps and items on a PC, to help others improve their own computer's performance. Moreover, it offer features such as Intelligent Defrag, a Duplicate File Finder (featuring IntelliMatch Scan), a Solid-State Drive Optimization Tool and a Software Updater to keep all the software on a PC current. SlimCleaner is available in two editions Free and Plus. Developer: Slimware Utilities Holdings, Inc.
general update: updates to the UI behavior that make navigation more intuitive from one interrelated utility to another. It also includes minor bug fixes and compatibility improvements for Windows 8. Disclaimer: Direct downloads for the lastest version of SlimCleaner Free 4.0.30878 / Plus 2.5.6.0 are provided by the official software's author, we can't guarantee safety, availability or download speed. Moreover, we don't and we won't provide any pirated/illegal versions or tools. We recommend you to avoid it as these methods can harm your device. If you like the software, buy it to support the developers. (We provide software discounts for many worldwide brands).